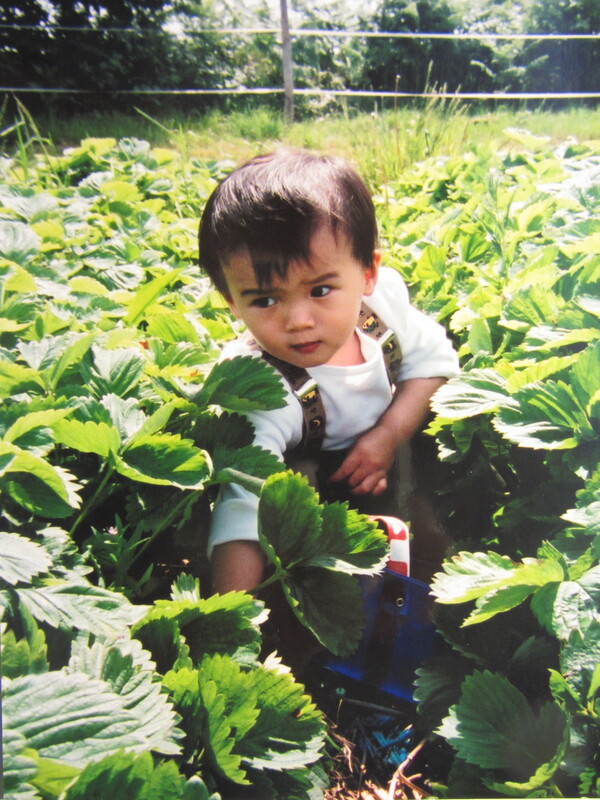 Yum…I found a big, juicy strawberry! Me. 1o months old.